Our program continues to flourish, grow, and evolve and we have to adapt and change to accommodate these circumstances. And, most of these changes require additional funding. 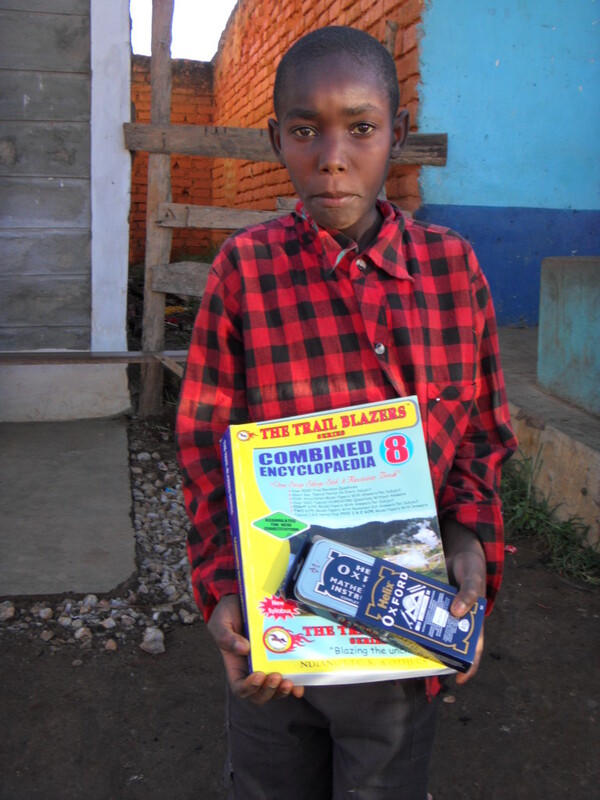 One of the factors that influence our finances is the exchange rate when transferring funds to our program. For those funds raised in Kenya – more than 15% of our total budget – this is not an issue. For transfers from Canada this defines our ‘buying’ power. At one time the rate was close to 95 Kenyan Shillings for each Canadian dollar. As of this last transfer, the exchange rate was just under 81 Shillings to the dollar. In essence what we can buy with our dollars has effectively dropped by over 13%. If you look at this in real money it now takes us a donation of $100.00 to purchase what we used to purchase for $88.50. At the same time, as the currency is causing us to have decreased buying power, we have been required to buy more or pay more for services. The two largest expenditures are food and education costs. As our children have become older they are simply eating more food. It takes more to feed older, larger children than it does smaller, younger children. Our food budget continues to rise. This is then elevated even further as we continue to actually grow, adding children to our residence. While there is a limit to the size of our ‘lifeboat’ there are some situations that are simply too desperate to avoid. This is the reason we have recently admitted two more children to our residence. 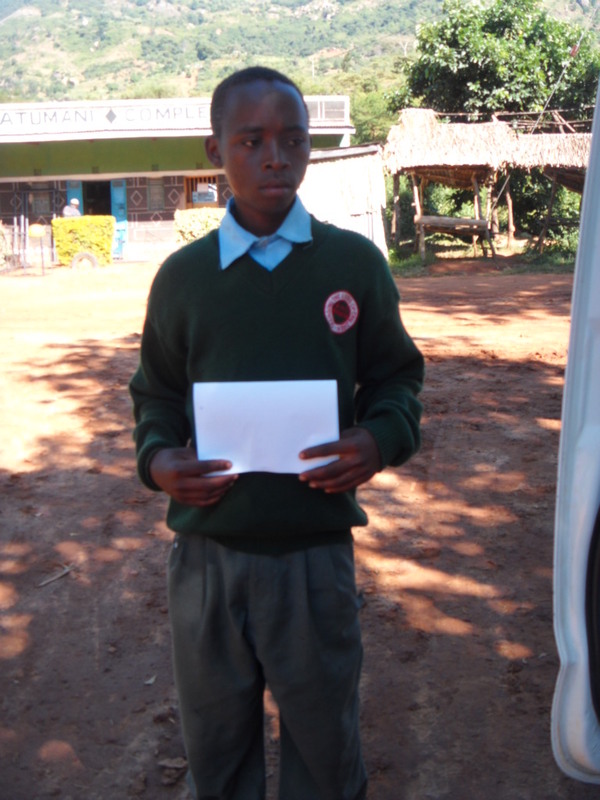 This year we have 42 children in secondary or post-secondary education. This is a significant increase in numbers. Confounding this further is that our children have continued to be successful in obtaining higher grades in elementary school and as such they have been qualifying for high level schools which cost more money. We are so happy for them for having achieved such wonderful results but there is a financial obligation that goes with this success. These numbers will continue to rise in the next few years as more children enter high school before we graduate others from post-secondary education. It was projected that our total expenditures would drop when we finished the construction of The Rolling Hills Residence. While there are still some monies that need to be spent finishing the building, the money previously spent on construction has been more than taken up with educational costs. A final factor has been the need for more staffing. 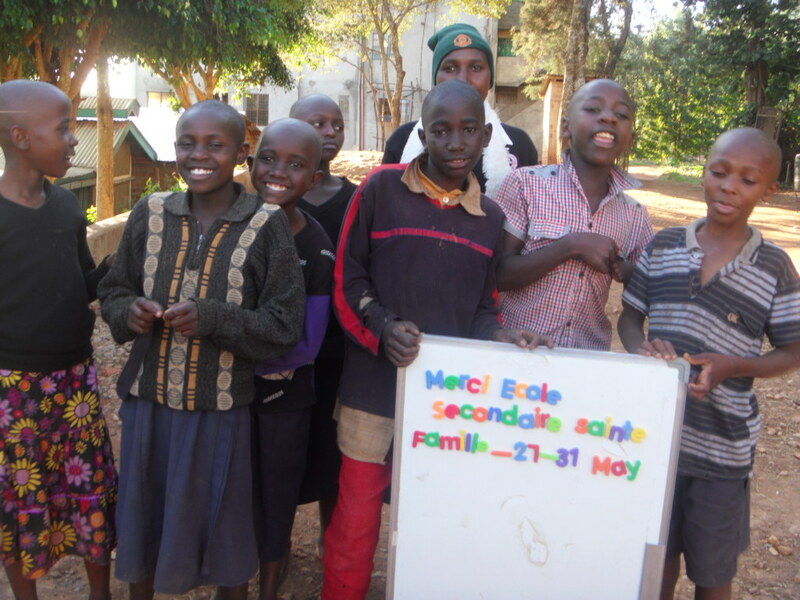 This is a result of both growth in the numbers of orphans being served but also is a secondary consequence of the tragic death of our patron, Henry. There were so many jobs that Henry simply undertook that must be staffed independently including security and driving, and working directly with the children – tasks that he took no pay to perform. All of these factors have combined to create a need for more revenue to balance out our expenditures. One of the changes involves the funds necessary to support the residence for one day. 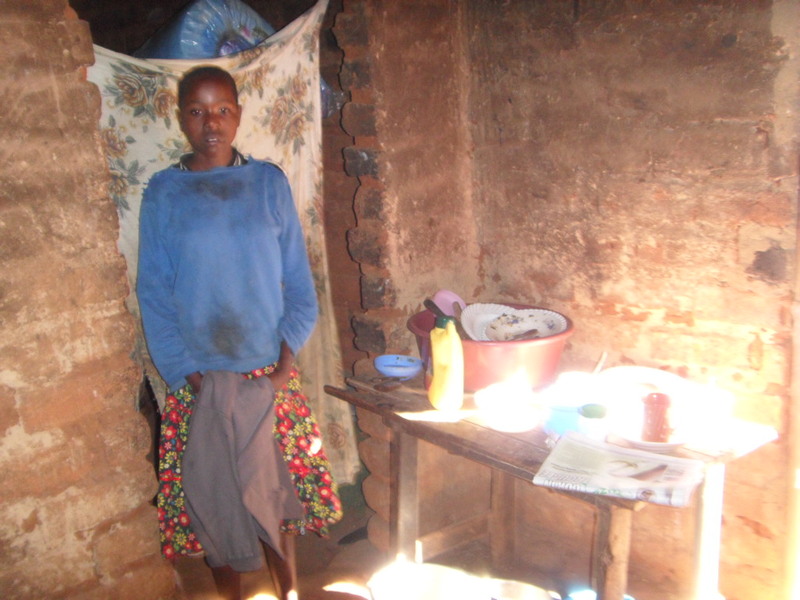 A day of support involves paying for food, routine medical care, school supplies, the electricity, sanitation and water for the building, and salaries. Previously these salaries included the matron, caretaker, cook, tutor, night watchman and community outreach worker. We have now added a second security person, a part-time driver, and an additional person to help around the orphanage. 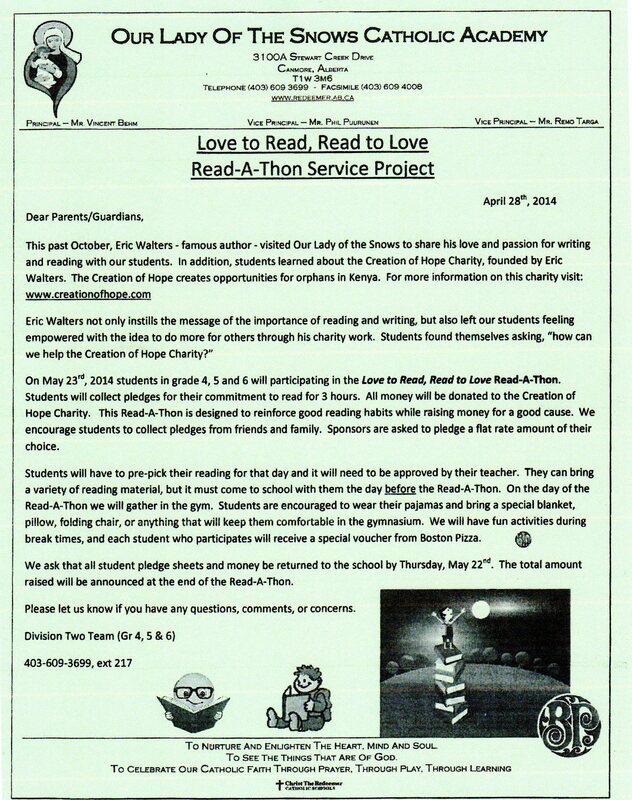 The cost of supporting the program for a day is no longer $75.00 but is now $100.00. This will start in August days. As always we will provide complete accountability and donations go to where they should go – providing for the orphans of Mbooni District. Amongst the increased demands is the need for more water. Our needs have gone beyond the initial well that we dug on the property. 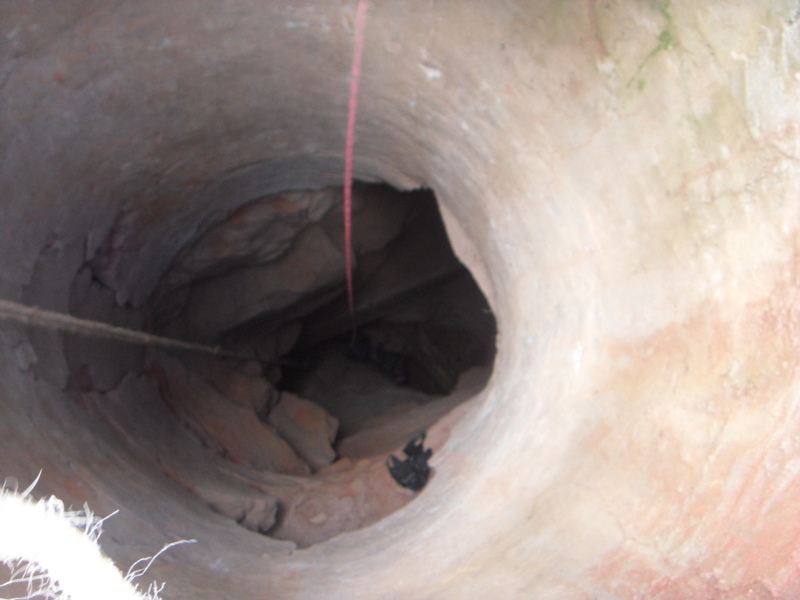 Below is a second well being dug and blasted. Mount Carmel-Blythewood P.S. in Leamington Ontario made a donation of $1250.97 under the direction of Irene Hartley and Rebecca Kantati. 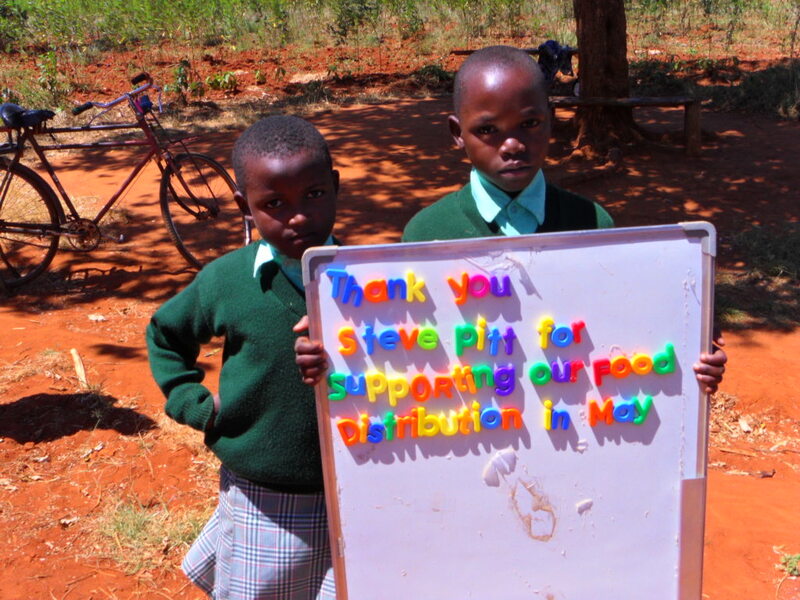 These funds are being directed toward daily support and food distribution. 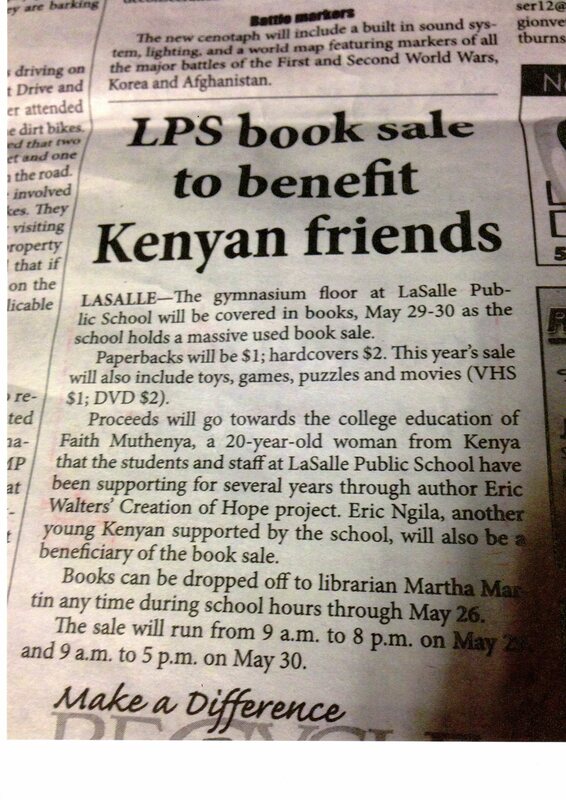 One of our biggest ongoing sources of support comes from Lasalle P.S. Once again they have come through with funds to be used to pay for the education of ‘their two children, Eric and Faith. 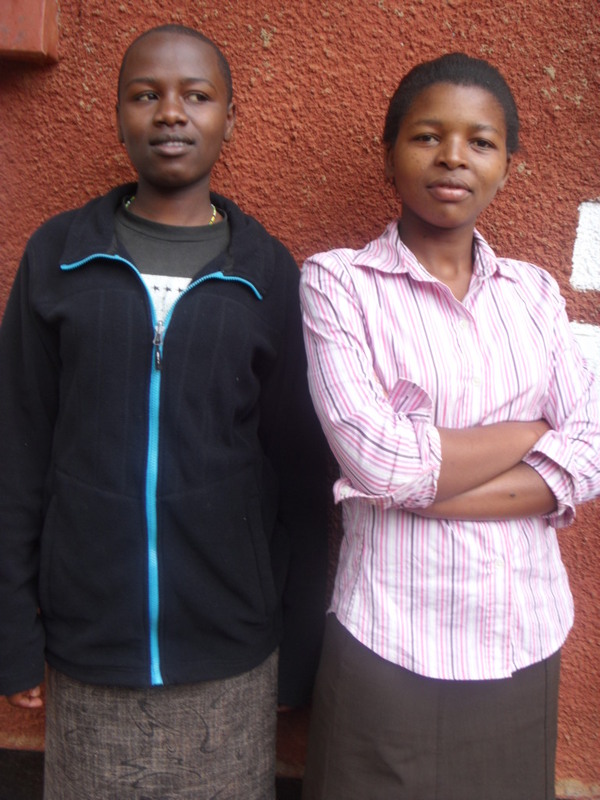 Eric and Faith are two of our most promising, dedicated students. Faith has just started university and Eric is in his last year of high level high school. As Faith Mentors, we try to help people in our world community. When Mr. Walters came to speak at our school last year, we made the decision to help support the Creation on Hope orphanage in Kenya. We raised $200.00 this year by doing odd chores around the house for our parents and grandparents. We also held a bake sale and popcorn sale in our school cafeteria. 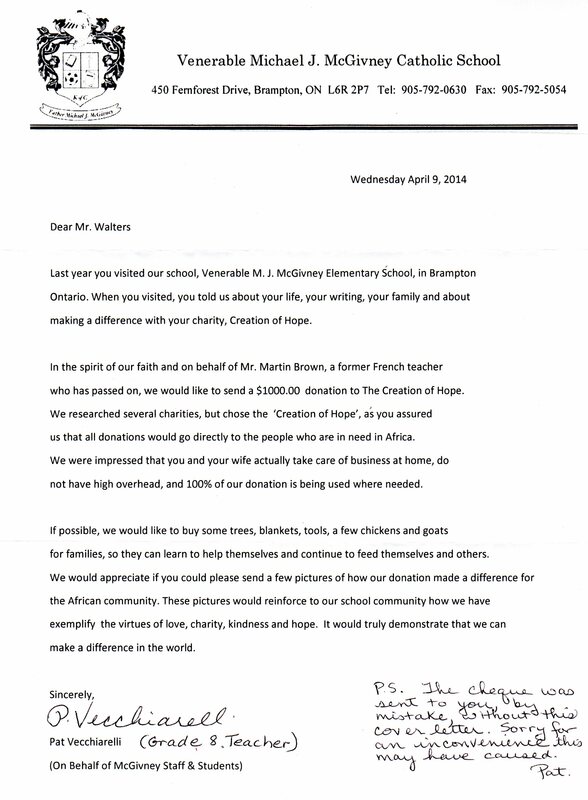 We were so happy to be able to hand the money over to Mr. Walters when he came back to our school last week. We hope the children are well and we wish them good health, love and happiness. St. Teresa’s School in Peterborough donated $224.75 through Lent Collections with their Junior Division. Ecole Harrison School in Brandon Manitoba raised $241.40 for our orphans. A.Vito Martinez Middle School in Romeoville, Illinois donated $230.11. I visited this school last January as part of my U.S. tour for the launch of The Rule of Three. Ray Lewis E.S. in Hamilton, under the leadership of one of our wonderful sponsor, Sandi Inglis, has raised another $1020.00 plus an additional personal donation from Karon Peddle. Last fall I did a tour of Alberta and had the great fortune to present to the students of Our Lake of The Snows Catholic Academy in Canmore. They raised $4757.45! 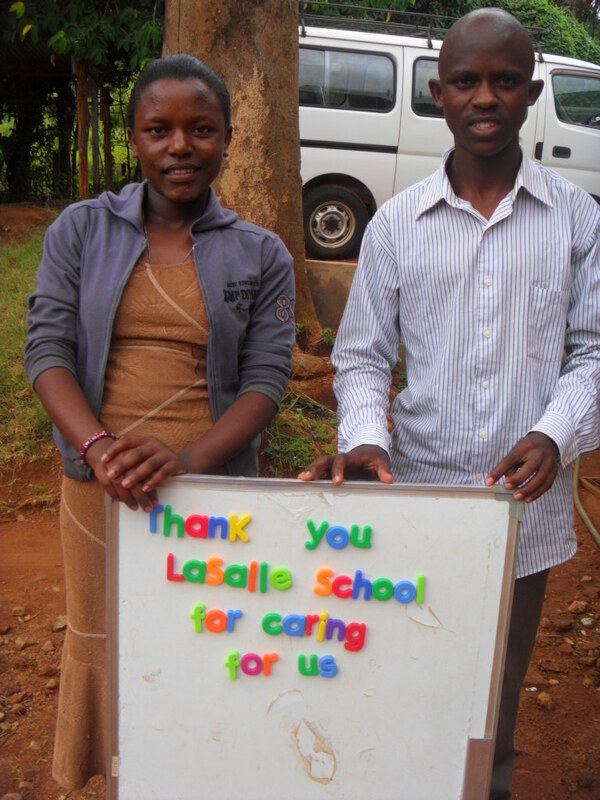 Lise, who coordinated this effort wrote – “ We are filled with pride and joy.” As are all of us! Again this money will be devoted to the ongoing support of our orphans in the residence. 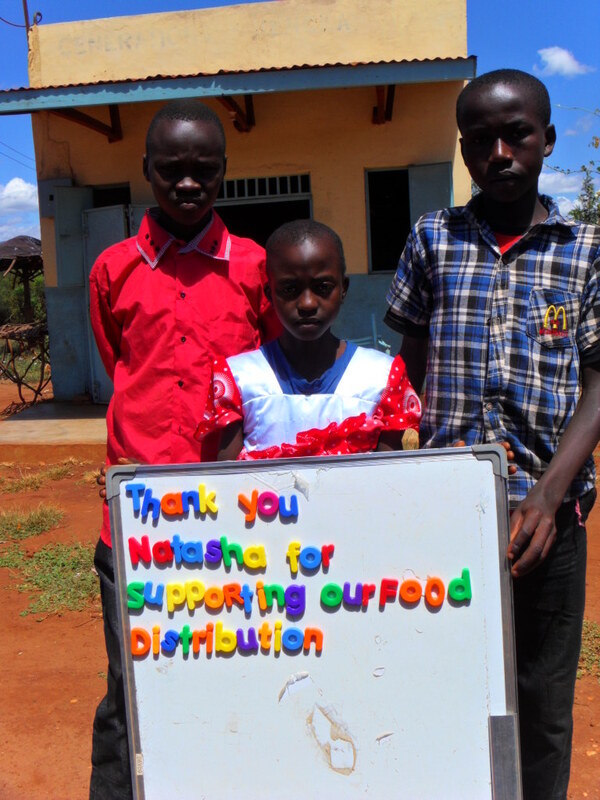 What an incredible donation which will be applied to daily support and food distribution. This wonderful donation is being used for daily support of our residence. 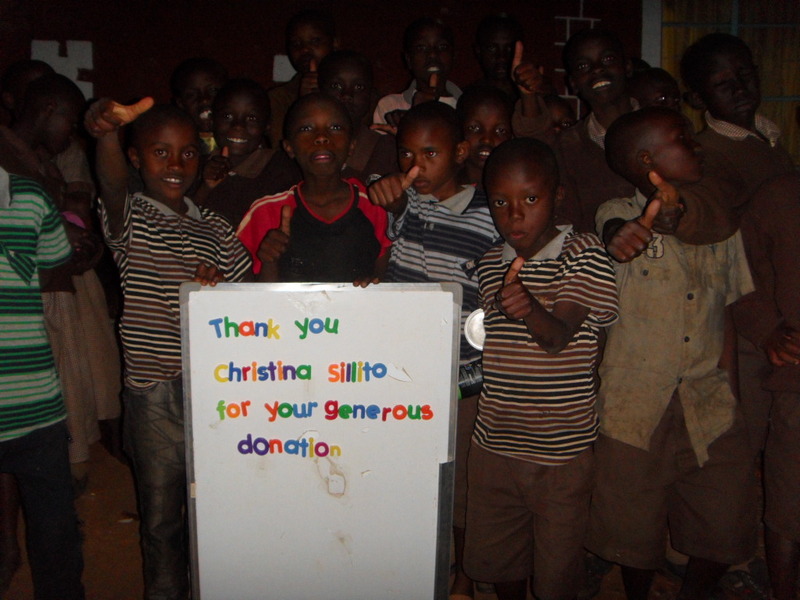 See the pictures below for the school and two teachers who made individual donations. Great thanks to all! After hearing about the Creation of Hope, students in our school decided that we would like to help raise money to support children in Kenya. Our Global Awareness/Helping Others committee decided to hold dances for all of the students in our school. Typically, dances are only held for our grade 6,7 and 8 students, but the committee thought that the younger students would love to participate in dances as well. Our students organized 3 dances during the day! Our primary and junior students were invited to dance during recess time and our intermediate students danced at the end of the day. The only thing we needed to do was turn on some music and the students danced and a great time was had by all! Admission to the dance was through a donation, and students willingly donated whatever they had, because they knew that the money was going to help others! 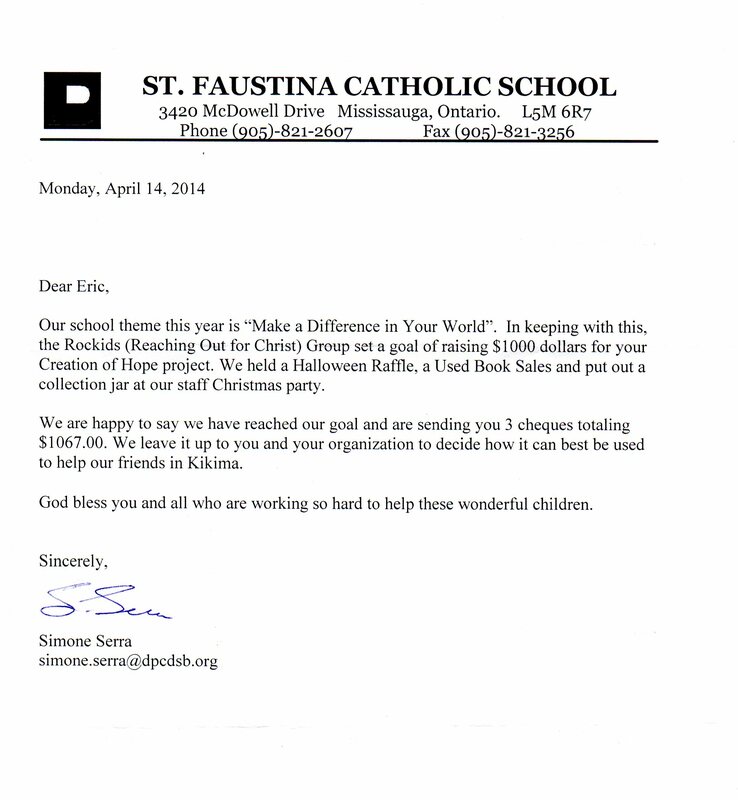 The dances were a huge success and we were able to raise $455.05 for the Creation of Hope! I was at a Forest of Reading event when a young girl, Madison came up to me and gave a donation of $25.00. These funds will be used to purchase blankets for orphans. See the pictures below. 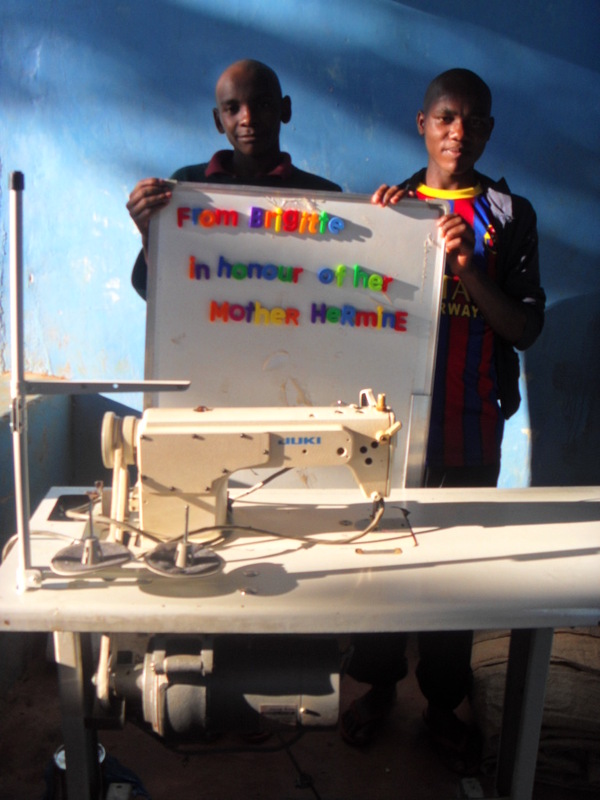 Brigitte who has previously purchased a sewing machine for the Residence has made donations to allow materials to be purchased to keep the sewing machine sewing! Cora and James made a donation of $40.00. This will be used to purchase a goat for an orphan. Broni Talach made a donation which will be used for daily support. 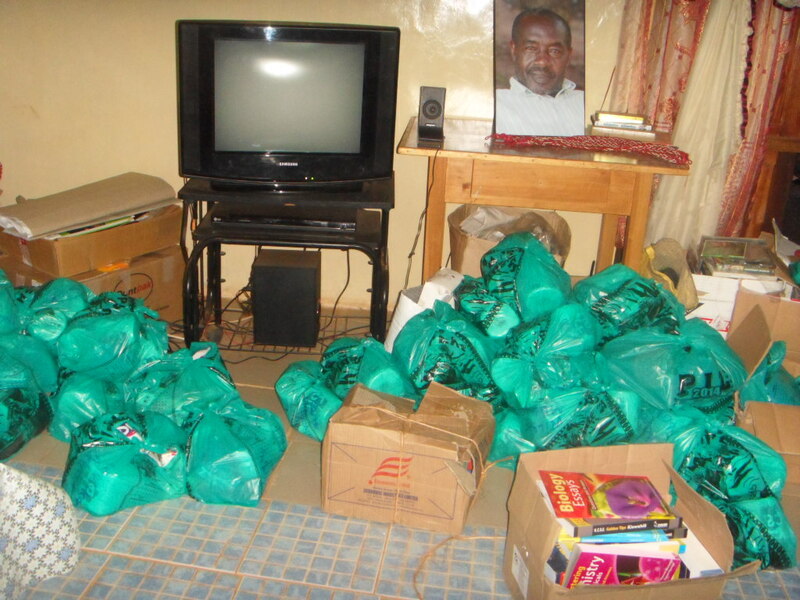 Every month we give out over 2 tons of food and goods to orphans and impoverished children living in extended families. 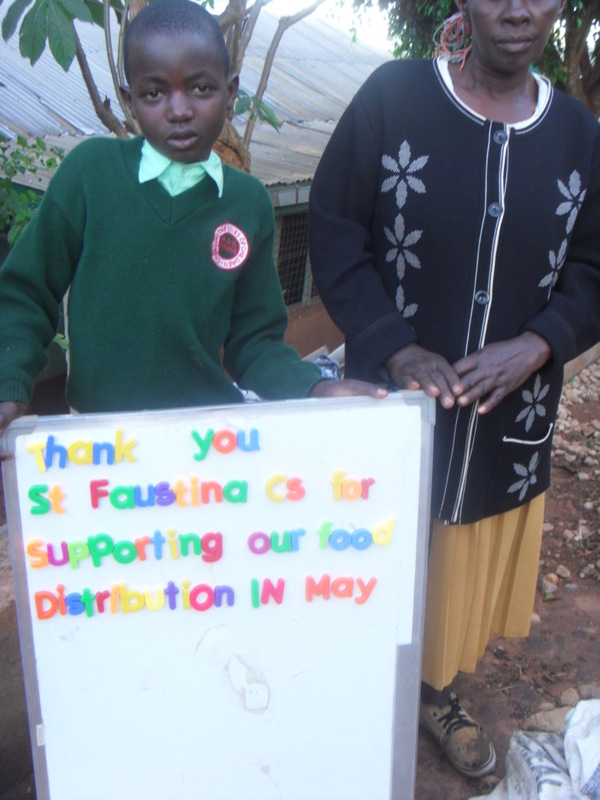 The costs of basic foods have continued to rise and we supplement sponsor donations with additional donations. These people and schools have made donations that go toward paying for this donation. Students returning to school need to bring supplies. These are the supplies for students either entering high school or returning to high school. This is a major cost factor – not only the tuition fees – but the supplies; both school and living; which are expected to come with them when they are in school. 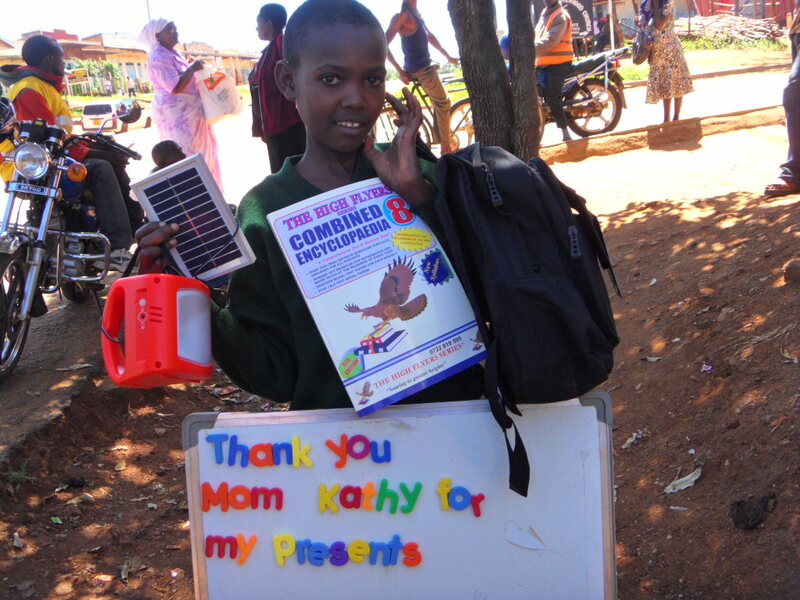 Syombua receiving presents funded by her sponsor Kathy Kay . 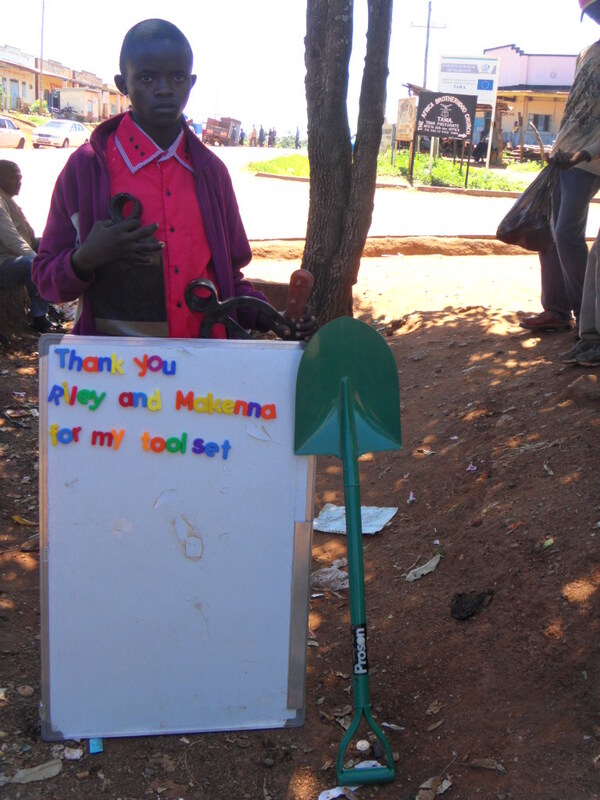 We also want to give Kathy our special thanks as we had ‘overlooked’ this request and she had helped us to remember. It is both sad and somewhat inevitable that we will occasionally miss a request or commitment that is made by a sponsor or school. We always welcome being helped to remember. 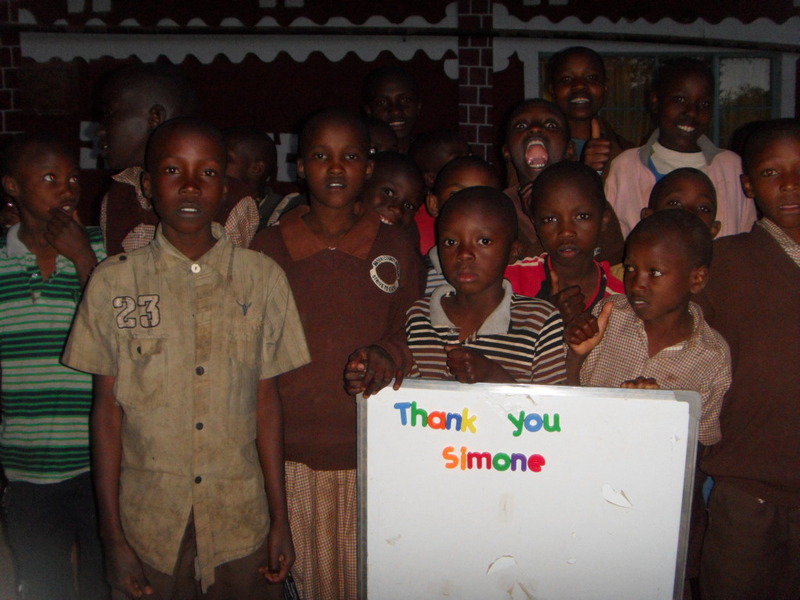 Amongst the hundreds of things we do each month there is no task that could mean as much for Syombua. 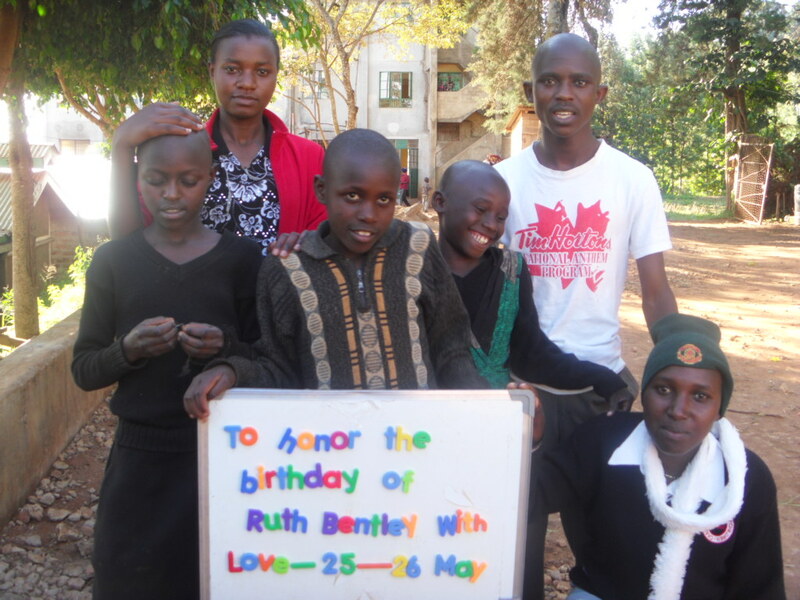 In the last week Kay has sent more than twenty pictures of sponsored children to their sponsors. 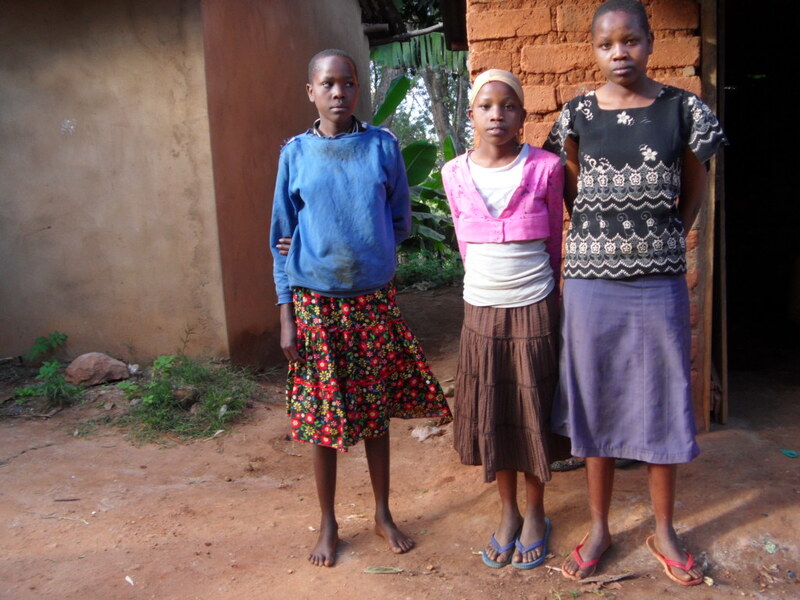 It’s always wonderful to get the latest picture – Mary is sponsored by Anita and I – and to see their growth and changes. 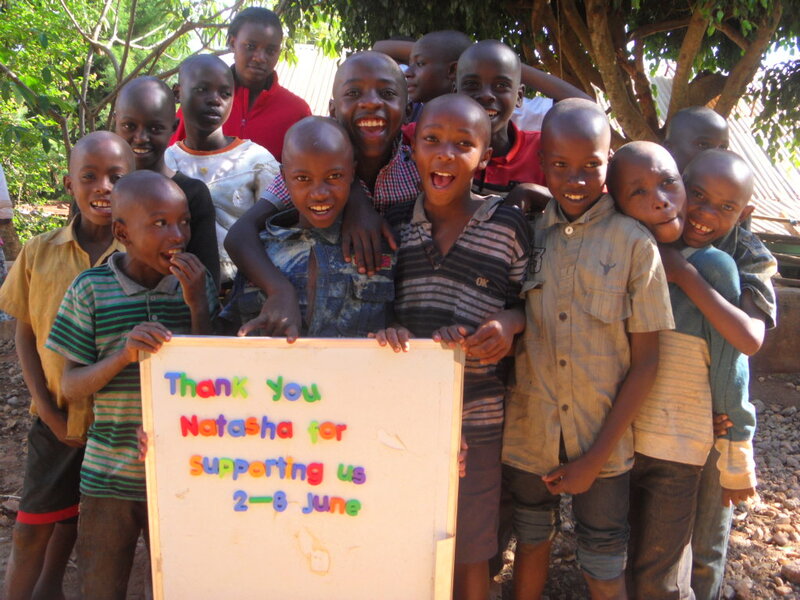 We are so appreciative of all the support from sponsors, donors and fundraising from schools, so that we can continue with the work of serving these children!